Pensacola Drug Crimes Attorneys | Florida Criminal Defense Law Firm of Michael J. Griffith, P. A. Many drug-related crimes can be charged at both the state and federal levels. Federal drug charges are typically considered more serious; however, convictions for both types of drug crimes can lead to substantial prison sentences, heavy fines, and other long-term consequences. As a result, if you are facing drug charges at either level, you need experienced legal representation. You need the Pensacola, FL law firm of Michael J. Griffith, P.A. State and federal authorities are cracking down hard on drug-related illegal activity. Whether this is your first arrest for possession of a small amount of marijuana or you are facing going back to jail again for your involvement in a large-scale operation, if you are convicted, you can expect to face significant penalties that will affect your freedom, your family, and your ability to find work in the future. We have decades of experience helping defendants throughout the Southeast defeat both state and federal drug charges. One major distinction between state and federal drug crimes is that, unlike state judges, federal judges have very little discretion to lighten your sentence following a conviction. This is not to say that state judges will let you off easy – they almost certainly won’t – but rather that at the federal level in particular you need to prepare yourself for severe punishment if you get convicted. Regardless of your charges, our Pensacola defense attorney will fight tirelessly to help you avoid conviction and preserve your freedom. Our Pensacola DUI attorney also represents individuals arrested for driving under the influence of alcohol, prescription drugs, and illicit substances. 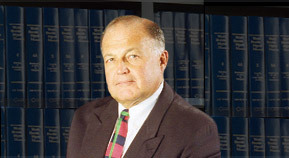 Attorney Michael J. Griffith will help you fight your state and federal drug charges. The initial consultation is free, and you can contact us 24 hours a day. With more than 35 years of experience, we understand your situation, and we have the skill and experience necessary to win your case.